Tired of the regular cliché holiday destinations? Bored of traveling to places where half the planet has already visited and the other half has ‘goals’ to visit? It’s time for a change then! We’ve put together the world’s most unconventional and unique attractions that offer the most exciting and unusual experiences. So go forth, revel and OWN this holiday season! World’s Most Bizarre Tourist Destinations article in below. This unique excursion offers a view of the ocean like you’ve never seen before! 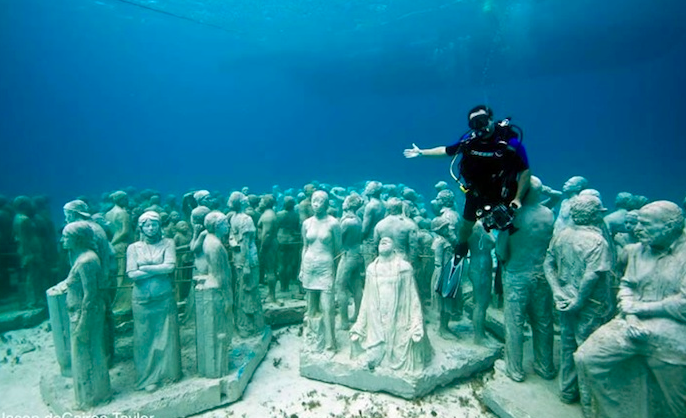 Take a swim in the worldly known waters and explore over 500 statues and the life they’ve bred along the coral reefs. 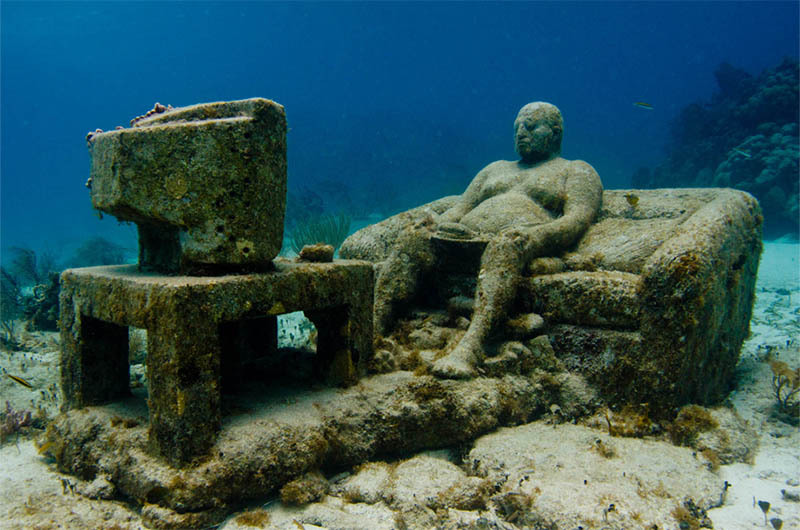 On the sea floor, there are sculptures of groups of people with their children, figures prostrating, beautiful naked ladies showing off their beauty out of which the sculpture of a man sitting on his couch and watching television is the most popular one. 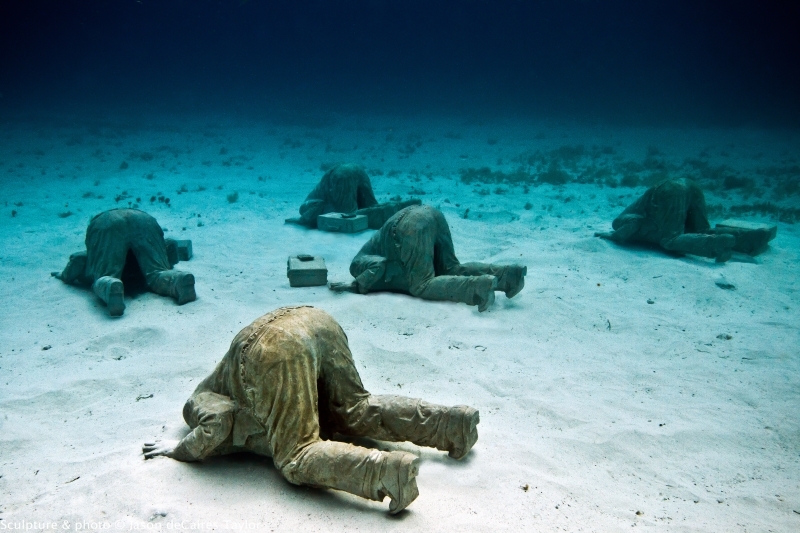 One can visit this museum either by scuba diving, snorkeling or in an underwater submarine. Tips for visiting: If you are traveling with kids, the best way to visit this museum is the submarine. Also, make sure not to take along with you the very easily scared people. If you’re traveling alone or with your partner, the best way to explore the museum is through snorkeling. 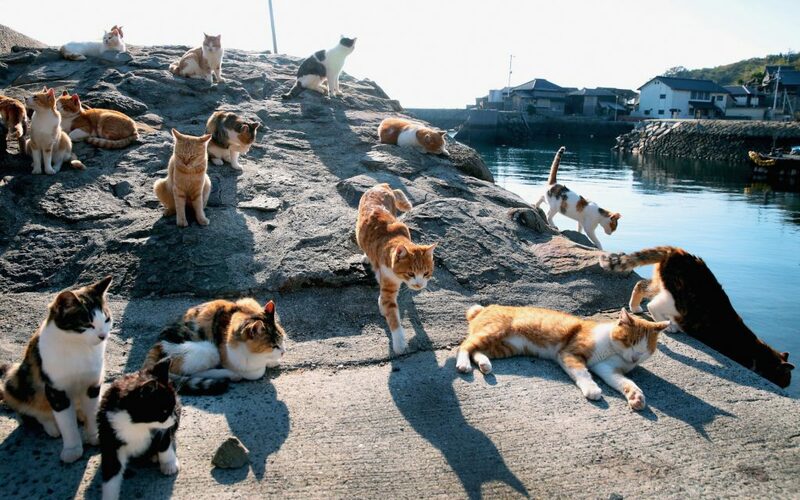 Ever heard of an island ruled by cats? I know, sounds unimaginable but it’s true! 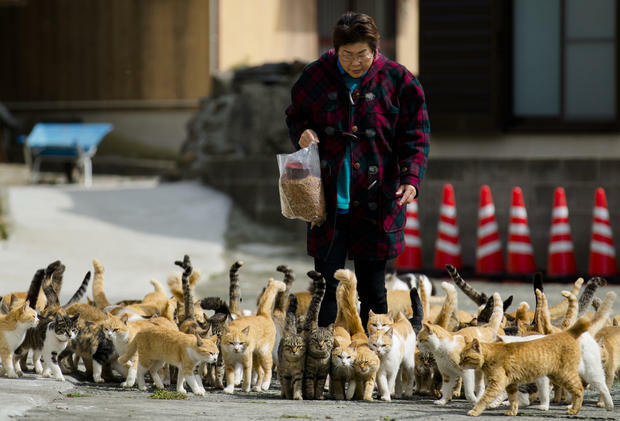 With only 100 humans on the island, the population is mostly made up of incredibly cute stray cats at the Tashirojima Island in Japan. From welcoming visitors at the Islands harbor to shooing away dogs, from waiting outside people’s homes for food to crowding near fishing areas for fish, cats are just everywhere. 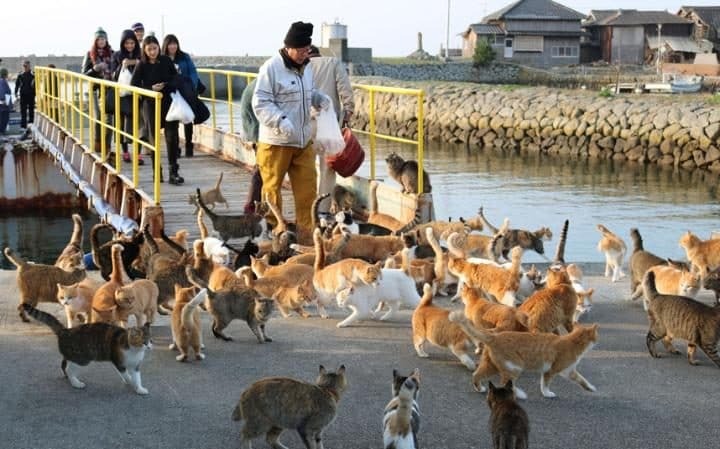 All cat lovers, pack your bags because your cat paradise is awaiting your presence. Tips for visiting: Don’t forget to carry lots of food with you- both for yourself and your furry friends. Keep yourself well stocked as there are no shops or restaurants where you can stop by for food. Also, make sure to return back before nightfall. 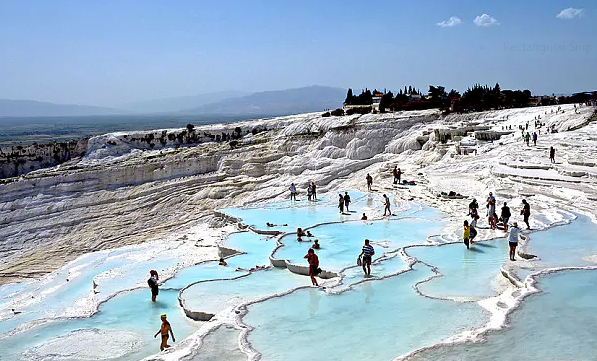 Truly spectacular in its own right, the geological phenomenon that is Pamukkale, is the site of the remarkably well-preserved ruins of the Greek-Roman city of Hierapolis. With over two million visitors annually, this place is also a UNESCO world heritage site. 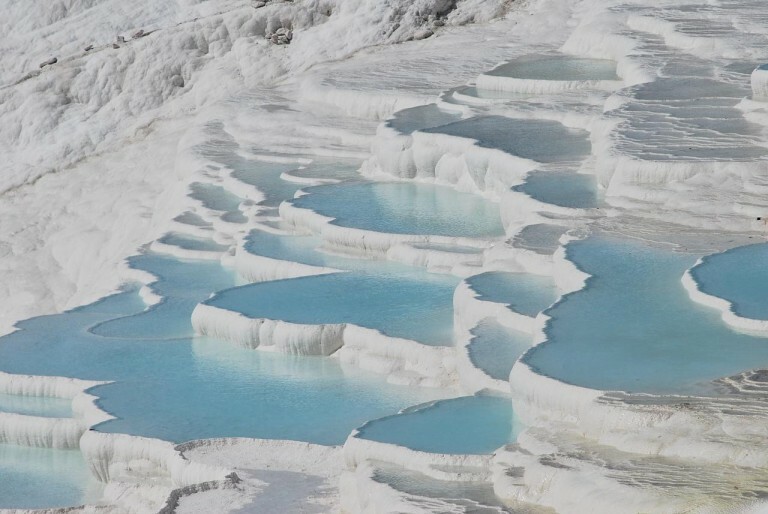 Pamukkale is made of picturesque travertine formations. It was built up over the millennia from limestone deposited by the abundant hot springs and cascade down inclines to various tiers. These springs are so beautiful and so white that they look like cotton fields from afar. Ironically, Pamukkale translates to ‘cotton castle’. The best part about this place is that it is permissible to take a dip and bathe in the mineral-rich waters. 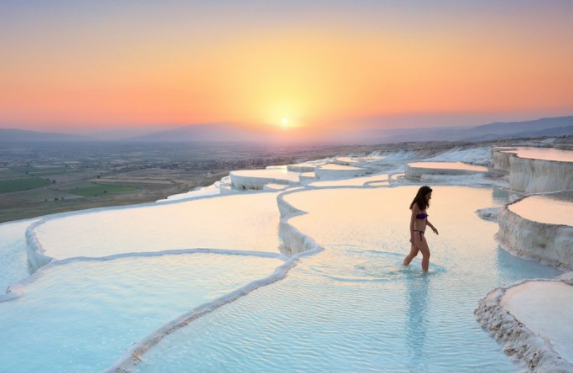 Tips for visiting: The best way to enjoy a uncrowded visit is to spend the night in Pamukkale village, then explore the formations the following morning. Also wearing slippers at the ancient site is not permissible. So do carry a bag to put in your footwear and other essentials. 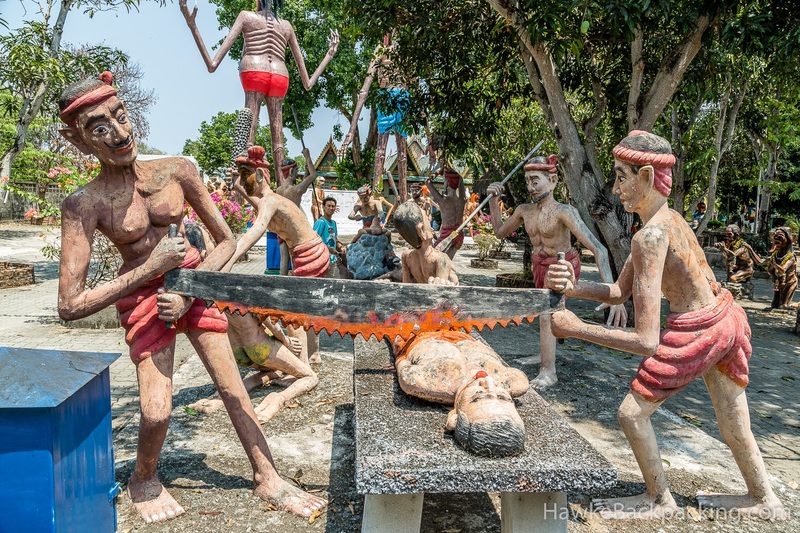 The Wang Sein Suk is popularly known as the ‘hell garden’. It is a garden full of statues depicting what is supposed to be Buddhist hell. After passing a “Welcome to Hell!” sign, visitors encounter sinners boiled in copper cauldrons, sinners being torn apart by hell’s dogs, and emaciated sinners with protruding ribs. Under every depiction of punishment, is a note specifying the sin for which the person is being tortured. 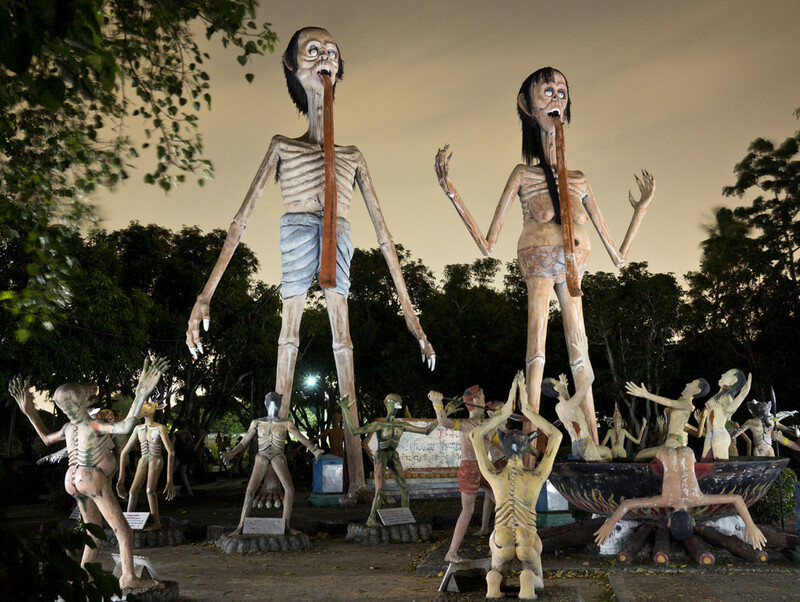 The Wang Saen Suk Hell Garden is not intended merely to frighten, but rather to instruct. If your good deeds outweigh the bad, you will go to heaven; if your bad deeds outweigh the good, you will be punished. 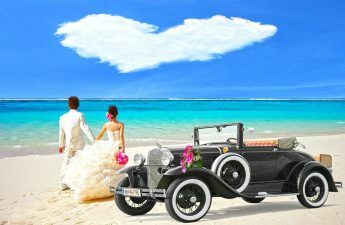 Tips for visiting: If you’re planning to travel to this place from Bangkok, it is going to be a tiring and very long trip. The simplest way to travel to this place is on the way to Pataya which is a very popular tourist destination. This winter season there is big news! 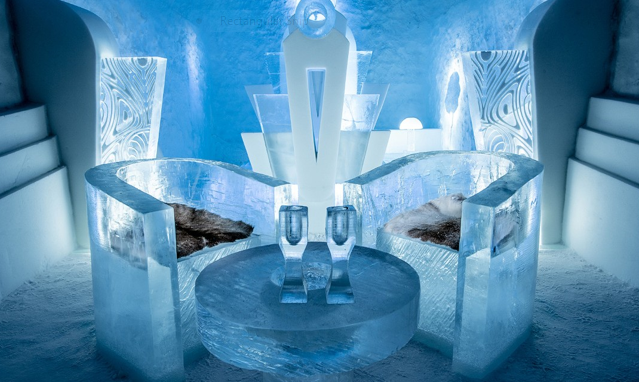 A whole new ice experience to be enjoyed at the world famous hotel made of ice and snow. How would it feel like living in a room made of ice, sleeping on beds made of ice, sitting on sofas made of ice, drinking from glasses made of ice, eating in plates made of ice? I know it sounds unreal, but it not! 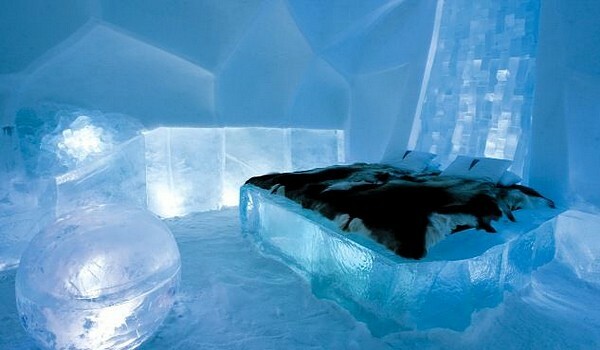 Visit the Ice hotel in Sweden Asap to experience all this personally. Other than the personalized Ice stay, take guided Northern Lights tours, try ice sculpting, ice fishing, husky sleighing, moose watching or a snowmobile safari at the Ice hotel. 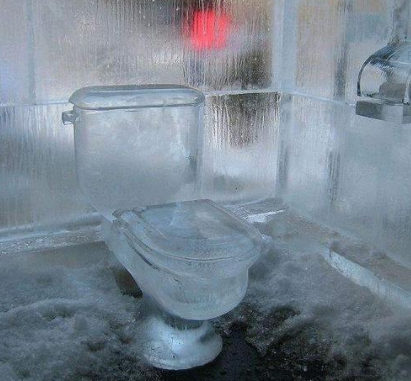 Tips for visiting: Be sure to book your stay at the ICEHOTEL up to a year in advance. Also, don’t be surprised to see a hotel different from the one you had seen on the internet. The Ice hotel melts every year during spring and you get a new hotel and art installation every year. 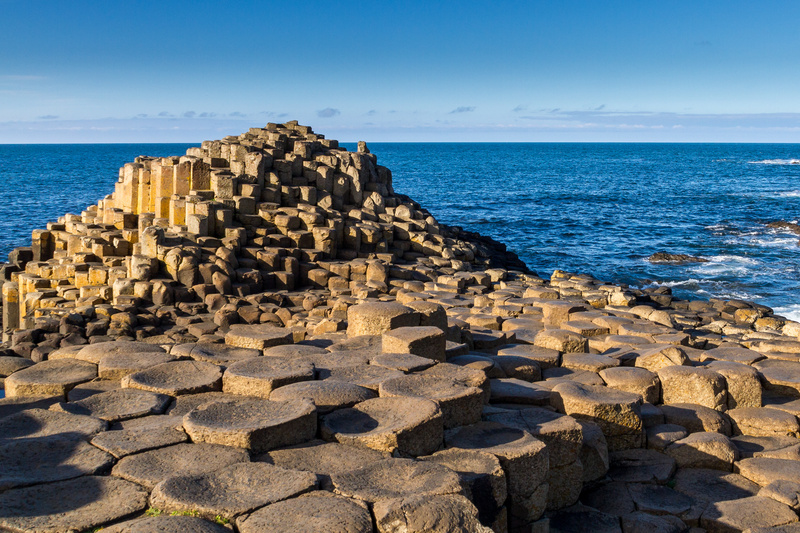 For centuries countless visitors have marveled at the majesty and mystery of the Giants Causeway. 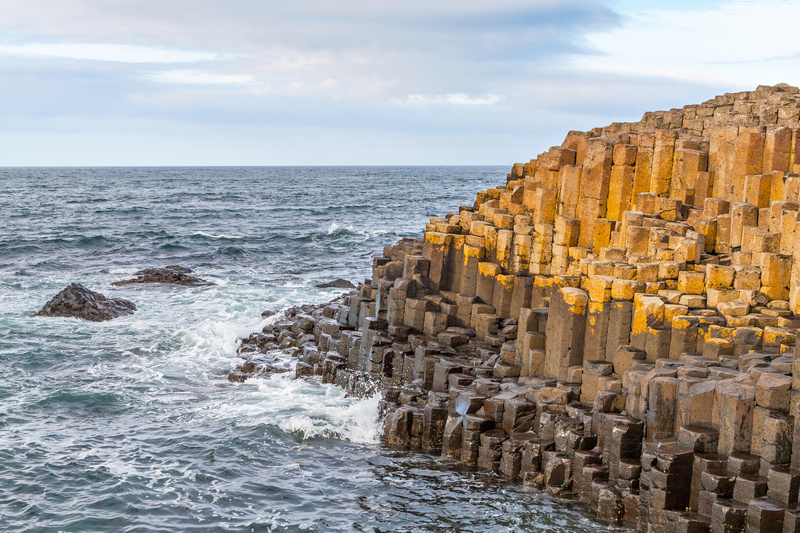 The volcanic formations at Europe’s most magnificent coastlines are like perfect hexagon tubes stacked next to each other. Few people believe that the place is an ancient home of a mighty giant called Finn. He threw chunks of the Antrim coast into the sea to defend himself from a Scottish giant. 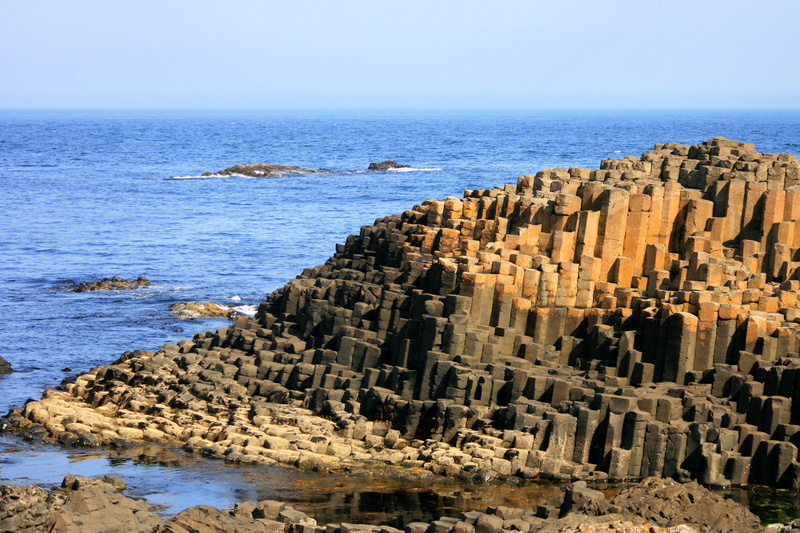 Many others also believe that the Giant’s Causeway is the aftermath of volcanic crashing, burning and cooling. Giant or Science, whatever you choose to believe, there’s no disputing that the UNESCO Heritage Site makes a pretty picture. Tips for visiting: Don’t forget to carry your camera to capture the beauty of the place. Also, carry a map along with you. The sandy beaches are so beautiful that you don’t even realize how far you’ve walked. 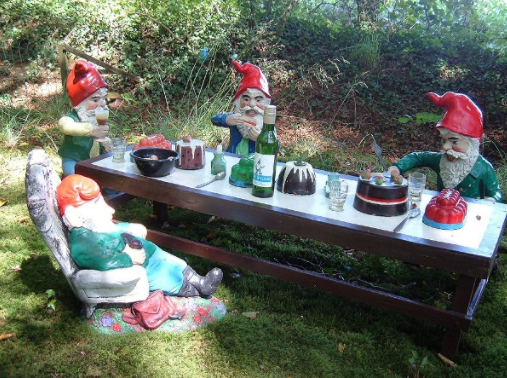 Set amid truly rural countryside, the 4 acre Reserve comprises woodland, pond, and garden – home to 1000+ gnomes and pixies. 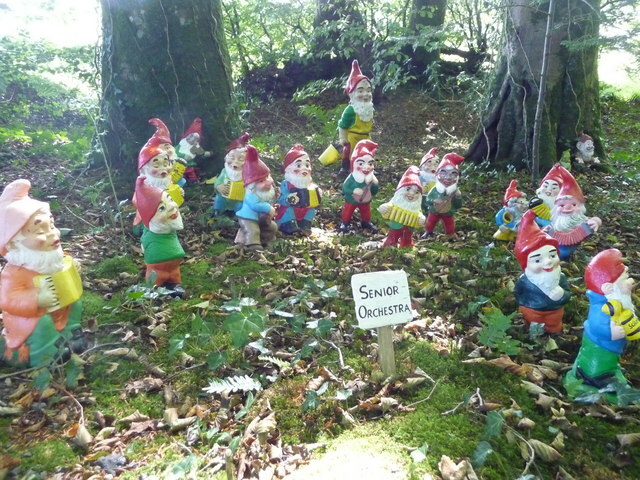 Ann Atkin holds the world record for the largest collection of gnomes and pixies, with over 2,000. All of these, housed at the gnome reserve are open for the public to see and enjoy. Here, Gnome hats and fishing rods are loaned free of charge so the gnomes think you are one of them! Tips for visiting: Don’t fill your bags with too many snacks as yummilicious cakes and other food is offered here. People who are fond of flowers and pastel colors are absolutely going to love this place. 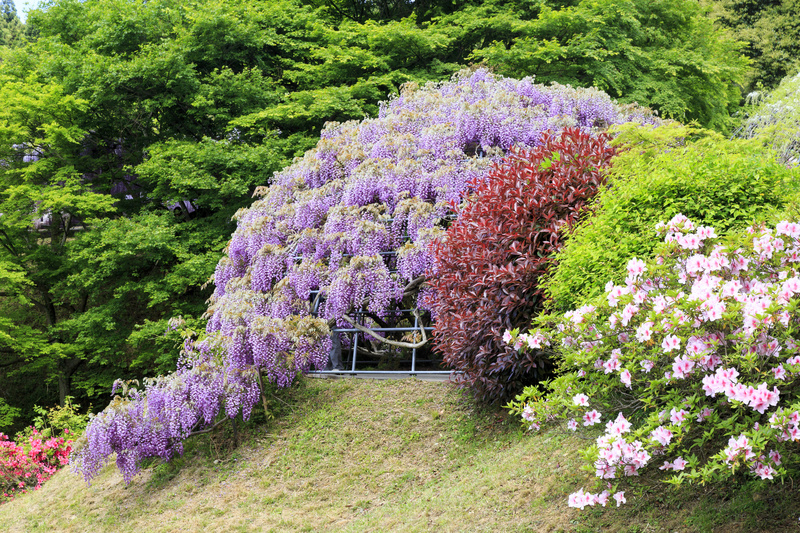 Kawachi Fuji Garden is where you will find all shades of the most beautiful pastel colored flowers. 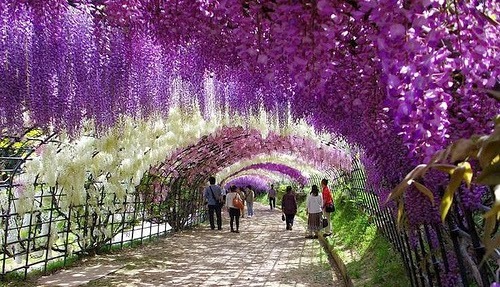 The garden’s most prominent features are two, roughly 100 meter long fairy tale tunnels made of large wisteria trees that together form an enormous roof of drooping flowers. 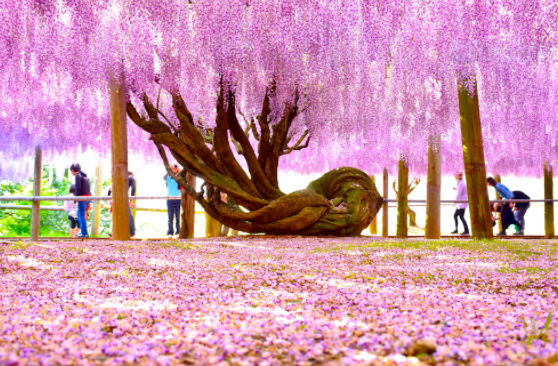 This place is opened to the public seasonally during the wisteria season which usually peaks around late April to mid-May. Tips for visiting: During peak seasons, tickets have to be purchased well in advance in order to enter the garden. Want to know what it might be like to spend time in jail? 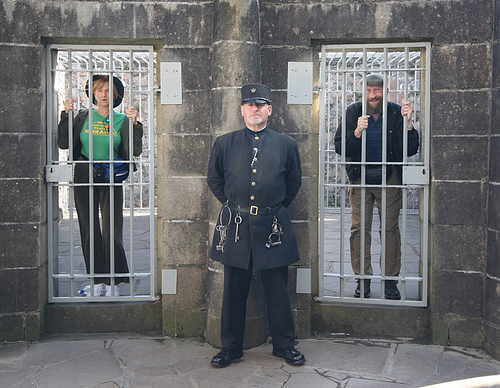 You can do just that without committing a crime in Scotland’s Inveraray Jail. 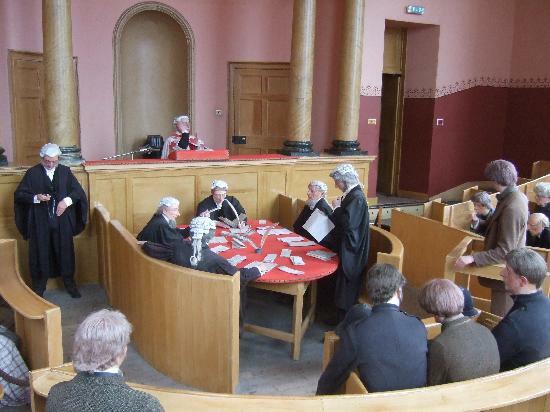 With the help of characters dressed in authentic garb, you can discover early justice techniques. These include branding with a hot iron, public whipping and torturous thumbscrews. Listen in on sensational courtroom trials. You can even get thrown into a barren prison cell and work up a sweat trying your hand at a variety of bizarre punishments. 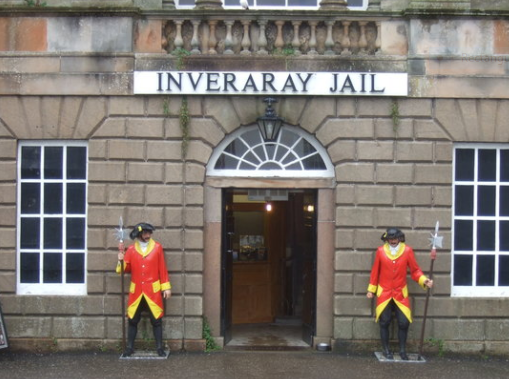 Tips for visiting: Fill your stomachs prior to visiting the jail because once you are inside, all you get to eat is porridge for breakfast and a watery soup with bread for lunch and dinner.